Terra Nova Books, 9781938288432, 154pp. Mogi Franklin is a typical eighth-grader-except for the mysterious things that keep happening in his life. And the adventures they lead to as he and his sister, Jennifer, follow Mogi's unique problem-solving skills-along with dangerous clues from history and the world around them-to unearth a treasure of unexpected secrets. 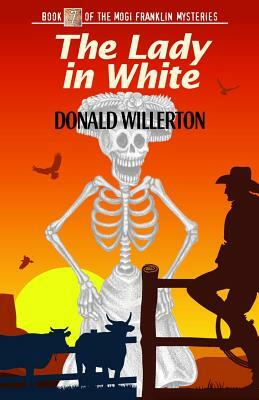 In The Lady in White, Mogi is working as a cowboy over the summer vacation on one of the largest ranches in New Mexico when hundreds of cattle start mysteriously dying there. Trying to understand the cause, he finds himself embroiled in the life of a boy who was kidnapped by Comanche Indians in 1871. In this seventh book of the exciting Mogi Franklin Mysteries, Mogi comes face-to-face with the ghost of the boy's mother, and must face the reality of the past to save the ranch from the enemies of the present.